"Deadpool" thus far has a bit of a shaky development stage. 20th Century Fox has wanted to do a spin-off film following Wade Wilson aka Deadpool since his character was introduced in X-Men Origins: Wolverine. Fox inked Ryan Reynolds but shortly thereafter Reynolds signed on to "The Green Lantern" over at Warner Brothers. The 'Green Lantern' casting took a little wind out of Fox's Deadpool sails, but the studio moved forward and hiring Rhett Reese and Paul Wernick to write a first draft for the spin-off antihero comic. Since then the property has been fairly dormant. Fox a few weeks back sent out the script to Robert Rodriguez pushing the idea that he take on the project. At the time this scoop seemed like nothing more than a rumor or hearsay. More recently it is becoming clear that the reports were true and that Fox and Robert Rodriguez are in formal negotiations. The question is will Rodriguez accept? R.R. is planning to do "Spy Kids 4" next and with Ryan Reynolds still shooting "The Green Lantern" Rodriguez's timing may not be right. I would think Fox will want to move fairly quickly on a "Deadpool" movie and if R.R. is doing a fourth Spy Kids for a good portion of 2011, that might not sit to well with Fox. On the other hand, Rodriguez and Fox have a fairly decent relationship and they could be willing to wait for him. Another question is how well will the antihero movie be accepted by general audiences? Robert Rodriguez hasn't had viable hit in awhile. There's no telling how well his upcoming "Machete" will do, a film that was originally setup to be a direct-to-dvd movie. Recent box office trends have shown that not all comic book properties do well, so "Deadpool" could be a gamble for both parties, especially if 'Machete' ends up being another flop. 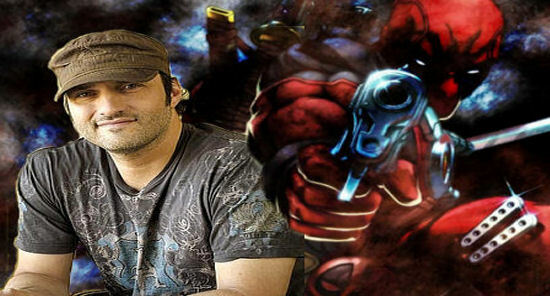 I like the idea of Robert Rodriguez directing "Deadpool." His talents lend themselves perfectly to Robert Liefeld's character. Rodriguez's best films, El Mariachi, Desperado and Sin City all have focused on a darker type of hero, something that Deadpool fits right into. So in the long run I think R.R. would be a solid choice. I also really enjoyed Rhett Reese and Paul Wernick's work on Zombieland so I'm willing to bet their script is pretty good too. I've always dug Deadpool and just hope that Fox brings aboard the right people to do the character justice (something they have continually failed to do in the past). So far, they seem to be on the right track. Stay tuned for more "Deadpool" news as it develops.